Amanda Galati and her husband made some radical changes in their life. They sold up and started out on a house sitting adventure in Tasmania. Two months house sitting in Tasmania has now become more than a year, and it doesn’t look like ending anytime soon. Amanda told House Sitting Magazine her story. Sometime in early March 2016, my husband Andrew and I decided it was time for a complete life change. We each had our own businesses on the South Coast of NSW, Australia. Andrew’s required a factory space, expensive machinery and big material outlays each month. This always equated to a lot of stress! We had always been interested in the idea of house sitting. We love travel, adore animals and rent-free living was very appealing, but up until this time we’d had our own pets to look after. Then sadly we lost our two beloved Siberian Huskies within six months of each other in late 2015. While devastated at their passing, we also realized a new sense of freedom had opened up. One night we sat discussing solutions to solve our financial over-commitments, for the umpteenth time! We realized we had to do something completely different. There was also a huge hole in our lives through not having animal companionship, so it finally felt like the right time to start our house sitting adventure! That night we made a radical choice – to pack up our life as we knew it and start anew! And so began a three month whirlwind of closing down Andrew’s kitchen business and selling off machinery, selling practically everything from a fully furnished four bedroom home, moving out of a rental property and in with the in-laws for a short while, and getting ourselves set-up to house sit with profiles and references. Let’s just say it was an intense few months! Tasmania had long been a favorite holiday destination for us. The tiny island state that sits at the bottom of mainland Australia had been calling us for some time. It felt like the perfect place to start our new life surrounded by everything we love. Pristine world heritage wilderness, breath-taking scenery, mountain hikes aplenty, rolling green farmland everywhere, the world’s cleanest air, and a gourmet food scene enviable the world over. Problem was it would be late June by the time we had packed up our old life – we would be arriving in Tasmania in the middle of winter! Everyone told us we were crazy. “Why would you visit Tasmania then? It’s soooo cold!” But we actually don’t mind the cold, and besides we might get to see snow! Average temperatures in winter can be anything from below zero to 15 degrees C (25-60 degrees F). As we discovered, many Tasmanians actually like to escape the winter chill during June through August, and will often take extended holidays to head north to warmer weather. This meant that there was a plethora of choice when it came to house sit assignments in Tas! 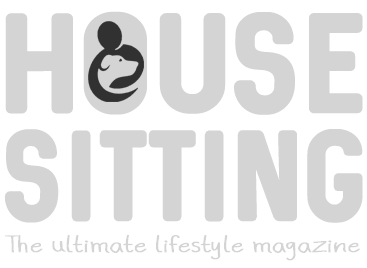 We put a lot of effort into setting up our house sitting profile on AussieHouseSitters.com, writing about ourselves in huge detail. Having owned pets before, we knew how hard it was to leave them behind when you go away. We were very focused on providing an invaluable service and this came across in our profile, as well as our sincere love of animals. We were approached by 10 homeowners in 24 hours! Talk about validation that we had set up a great house sitting profile! It was a real confidence boost for us and also very humbling. The requests were not from just Tasmanian residents but from all over Australia, as we did not limit our availability to just Tasmania on the house sit platforms. We wanted to keep our options open for future travel. We thought we’d spend two months in Tasmania and then travel to other Australian states. Andrew and I got very clear on exactly what type of house sits we wanted to do. We loved rural life and had property maintenance experience after living on acreages for the past seven years. Farm sits were very appealing to us. We especially adore dogs and we had a lot of experience with handling very active dogs, but really we love all types of animals. We also knew we wanted to explore all over the island, house sitting in Tasmania at some very scenic locations, and we didn’t mind traveling to more remote places as we’d have our own car. But probably most important to us was that the homeowners loved their pets as much as we’d loved ours! We wanted to look after pets who were valued members of the family so we could lavish them with love. So we decided to apply for rural and semi-rural hobby farm sits. And boy did some places have a menagerie of animals! After multiple phone calls with homeowners, we committed to several house sits in various parts of Tasmania. As we wanted to take our car with us, we booked an overnight trip on the “Spirit of Tasmania”, a large ferry that operates between Melbourne, Victoria, and Devonport, Tasmania, transporting people, cars, trucks and freight across the Bass Strait. We disembarked in the dark at 6.00am, a little bleary eyed after such an early start but were quickly awakened by the crisp winter air. As we drove down the highway watching the sun rising over the farmland, we knew we had made the right choice to come to the Apple Isle (a colloquial name for Tasmania as it grows a lot of Australia’s apple supply). We felt like we were home! Jumping in at the deep end – arriving in Lilydale! Our first stop was to meet the homeowners at our second house job scheduled for several weeks later in Lilydale, north east Tasmania. They had invited us to stay overnight so they could show us around their farm. It was quite daunting to meet a homeowner for the very first time, knowing that they were entrusting us with their fur-babies. Staying overnight with someone you have also just met was equally uncomfortable! As we would soon discover though, we needn’t have worried about being uncomfortable. The homeowners made us feel right at home, cooking us a beautiful dinner and we chatted for hours. In fact, we have met some of the friendliest, most hospitable people we have ever known here in Tasmania! Many have since become very good friends. The Lilydale homeowners showed us around their beautiful 10 acre farm and introduced us to the menagerie of animals we would be looking after for three weeks. Six cats, four very active dogs, two horses, three alpacas, three sheep, about twenty chickens, an aviary of birds, goldfish and a peacock! It was a lot to take in, but we knew about all the animals when we applied for the sit and believed it would be a great learning experience. Laura, the homeowner, was an animal studies teacher and very knowledgeable about all kinds of animals. She was a fascinating “teacher” and we felt much more confident after learning some very practical hands-on tips! It’s a small world in Tasmania! We continued south down the highway for several hours to the stunning Huon Valley, 25 minutes south of Hobart, the capital of Tasmania. The valley is home to hundreds of apple and cherry orchards, as well as stone fruit, berries, honey and salmon farms. Yum! We were meeting up with the homeowners of our very first sit in Tasmania on the eve of their departure. Another small hobby farm, this time we would be looking after Sophie the Golden Retriever, an old cat, three chooks (Aussie speak for chickens), three goats and two young steer on a 14 acre property surrounded by mountains. After showing us around and explaining our house sitting duties, we sat down to share some drinks and snacks. Soon after, another couple arrived to join us – the sister and brother-in-law of the homeowner. We were going to be staying at their house that evening (again … we’d never met them! ), as well as house sitting for them too a few months later. They then informed us that we were all going to a birthday dinner party that night at yet another homeowners place we were going to be looking after! As it turned out, three of the homeowners we were booked to sit for knew each other. Two of them were actually best friends! All sits were advertised and applied for independently, but throughout our conversations we all realized the connections. Talk about a small world! We had a fabulous time at the party that night but we were also exhausted and a little overwhelmed! In the space of 48 hours, we had met four different sets of homeowners, stayed at two “strangers” places, driven for over 6 hours, been to a rather rowdy dinner party and eaten wallaby stew for the very first time! But it was always very clear to us was that Tasmanians welcome you with open arms and are very proud of their beautiful island home. Our supposed two month stay in Tasmania has turned into twelve … so far! We have totally fallen in love and are planning to stay indefinitely. Tasmania is a land of rugged beauty, prolific wildlife, endearing people and an abundance of fresh produce. Sustainable living is a big focus for many and there is a noticeably slower pace of life. We’ve survived the wettest winter in Tasmania’s history, awoken to snow falling on our very first house sit, and even had twin baby lambs named after us who were born while we were at one of our farm sits … “Andy” and “Mandy”. We’ve completed many stunning mountain hikes and driven all over the state – we know the roads better than many locals! We’ve dealt with sick animals, rescued a drenched chicken from a tree during a torrential rainstorm, had a horse jump a fence onto the road, had unexpected Airbnb guests show up at our door late one evening … and the list goes on. But for all the challenges we have experienced while house sitting, the good by far outweighs the bad. Stunning locations, the most adorable animals, the freshest produce, unimaginable hospitality and homeowners who have become like family. 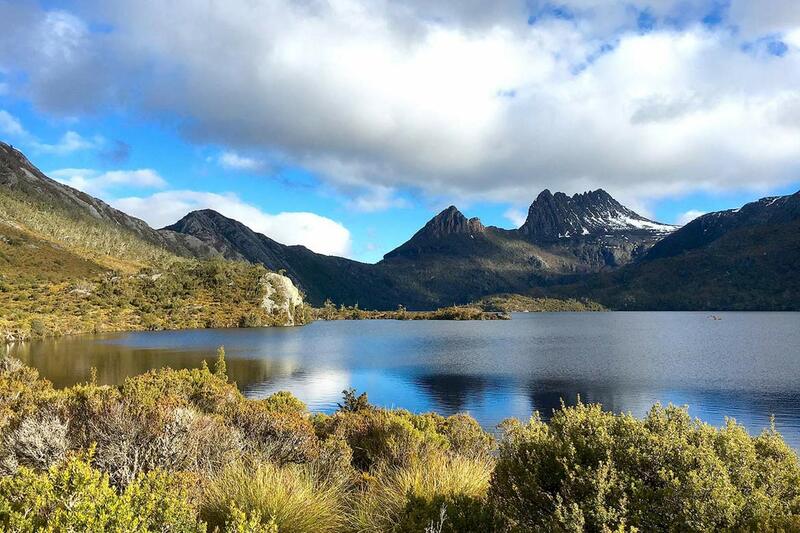 Tasmania – you have our hearts! Amanda and Andrew Galati are full-time house sitters from NSW, Australia. They embarked on their house sitting adventure a year ago after deciding it was time for a complete life change once they’d turned 40. What started as a two month stint in Tasmania has turned into a full blown love affair with the Australian island state, they now call home! They particularly love the rural life and look after farms regularly. We are headed to Australia for our second time, in September and have posted availability for the eastern states. We thought we might skip Tasmania, but you have convinced us to try and fit in a sit there. We are booked so far, through November 9 and will stay in Oz til early March. We will keep an eye out for those Apple Isle sits. Thanks for your great post.